We both shared the experience of attachment that occurs during feeding, and our daughter could connect closely with both of us as she came to view us both as people who could be depended on to care for and comfort her when she needs it most. The beauty is in a mother’s desire to give her baby the best she can give, and that goes way beyond the ways we choose to feed our babies. Leading up to World Breastfeeding Week 2018, A4L had the pleasure and privilege of speaking with Alyssa Schnell, MS, IBCLC, author of Breastfeeding Without Birthing: A Breastfeeding Guide for Mothers Through Adoption, Surrogacy, and Other Special Circumstances and co-host of the Breastfeeding Outside the Box podcast. 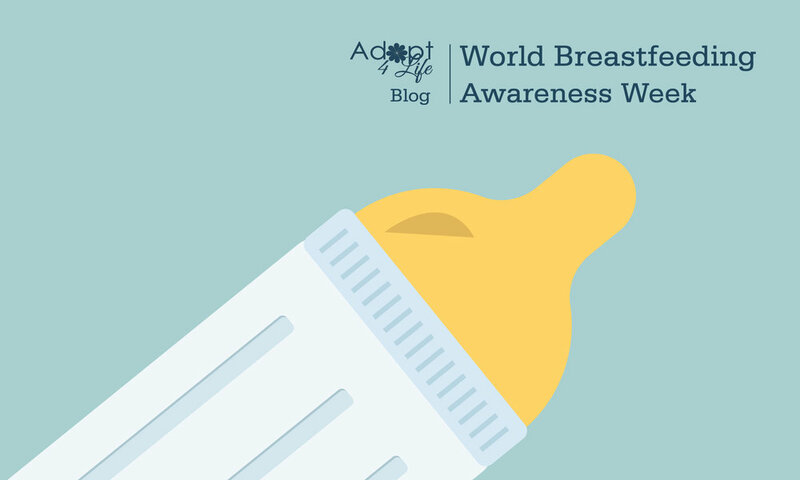 We could not be more thrilled to share the blog she wrote for Ontario’s Adoptive Parent Community on ‘Debunking Common Myths about Adoptive Breastfeeding’ in support of Adopt4Life’s World Breastfeeding Week Awareness campaign. Collectively we hope the information will help you in making what we know will be the best decision for your family. If you interested in learning more about the many options for breastfeeding without birthing, we invite you to join Alyssa for her free webinar on August 30, 2018. More details available in the blog. 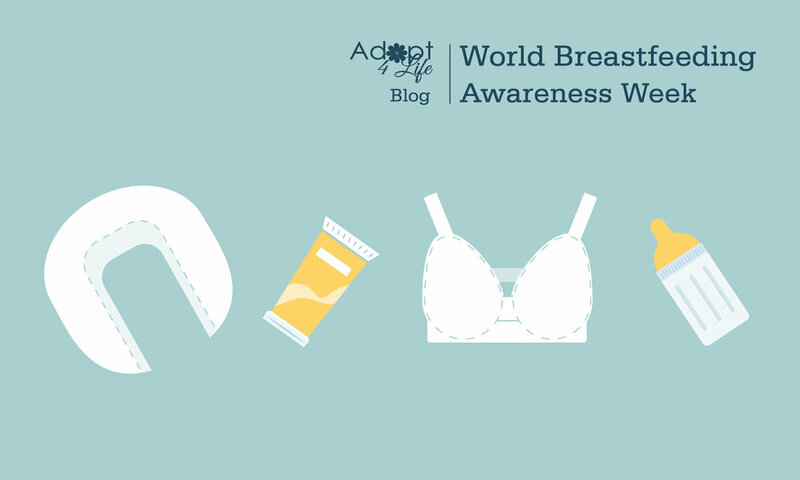 My advice to mother’s to be, both adoptive and biological, if I may, is to embrace who you are, just as you are and to put the Breastfeeding debate aside, choose what is right for you and for your infant. Choose to nourish your child(ren) with love, laughter and light, as you breast or bottle feed and I can attest to the fact that will be just fine! 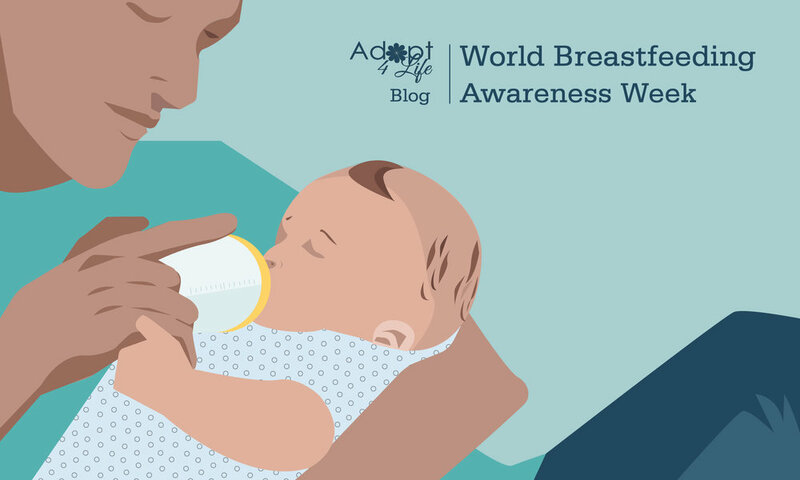 So, to all the moms and dads out there who have made the decision to bottle feed—for whatever reason, please know that you are not alone. May our babies be fed, loved and nourished.